CUTCNC[CUTCNC? :cutting machine sample maker manufacturer] inkjet printing[printing? :printing cutting finishing solution] cutter plotter[cutter plotter? :sample maker cutter plotter] is applied to inkjet print[print? :printing image graphic cutting solution] industry and it can replace manpower cutting. Convenient and accurate .and that can small batch production. CUTCNC inkjet printing cutter plotter is used to inkjet print industry to do cutting,plotting and other functions.The main materials which inkjet printing cutter plotter can process are: rigid foam board[foam board? :foam board], pvc[pvc? 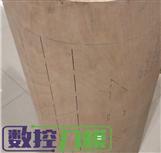 :PVC sample cutting machine], hardboard and so on . Our models which can be used to process inkjet print material include: DCP[DCP? :packaging sample cutting machine] series inkjet printing cutter plotter; DCP-D[DCP-D? :hot model CUTCNC cutting machine] series inkjet printing cutter plotter; DCP-H[DCP-H? :packaging carton box sample cutting machine] series inkjet printing cutter plotter.